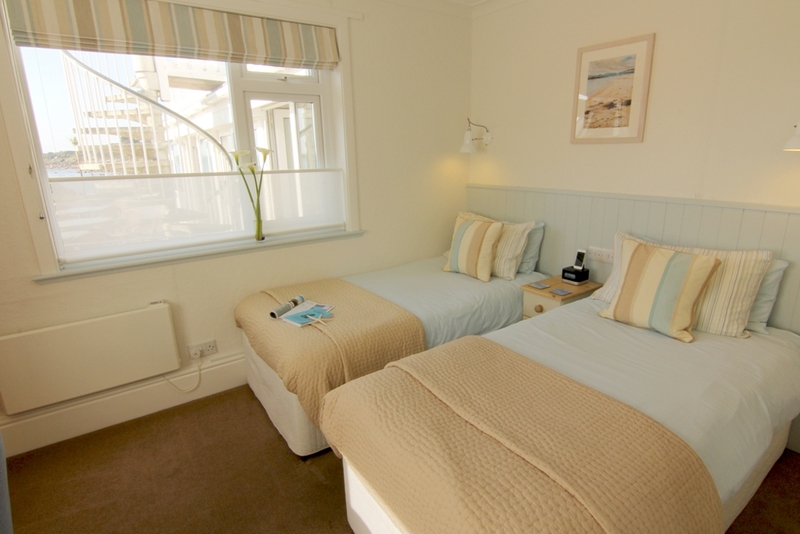 Room 3 is a twin bedded room located on the ground floor at the front of the guest house. With its high ceiling, fresh coastal colours and large windows, Room 3 is light, bright & airy and enjoys stunning views out to Porthcressa Bay. It has a compact shower en-suite with a separate hand basin in the room.